SP Honesta and Boicota SP, two tools to find fair and good food in São Paulo. “We are not the Procon (government office for consumer defense), nor Reclame Aqui (website where consumers can complain about products or services), we propose something simpler: we will list the places that exploit others and create a great guide boycott for anything out of the reasonable. On the web page, it is possible to point out higher prices in different types of establishments, such as bars, cafes, museums, shops, among others. According to Camila Kintzel, one of the founders, some of the main complaints refer to parking that have absurd charges. But not only about complaining. Based on the Boicota SP idea, the journalists Rebeca de Moraes and Tatiana Dias created the SP Honesta (Fair SP, in english). But the focus here is another: To show the good side of the city. 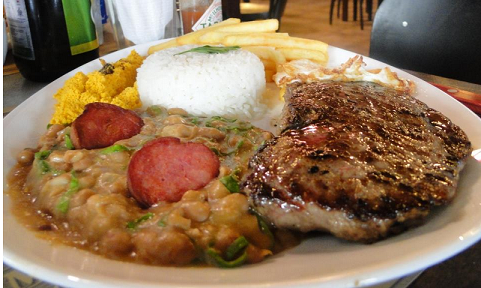 The starting point for the idea was the difficulty of finding restaurants with fair prices in São Paulo. And the result has proved promising, since its launch on April 11 they already have more than 8000 followers on Facebook and a hundred suggestions received. Rebeca believes that the great interest shown by the public is important. According to her, this indicates a consensus that the city of São Paulo is very expensive and that we need to change this situation. “After all, everyone enjoys a fair São Paulo, and also places with good and cheap food”, she told to G1. This entry was posted on April 29, 2013 by Carol Beatriz in Cases and tagged Boicota SP, Brazil, collaborative consumption, Fair Market, Food, it's not innovation but it's cool, Sao Paulo, SP Honesta.